Above: the Rias Centre at Ria Formosa is open all year round and gives a fascinating and inspirational insight to their valuable work. RIAS is a wildlife rehabilitation centre, located in the grounds of Quinta de Marim, the headquarters of the Parque Natural de Ria Formosa. The centre has been in existence for more than 20 years and manages the care and treatment of injured and sick wild animals with a view to returning them to full health and their eventual release back into the wild. Its facilities are meagre; a small reception area, an operating ‘theatre’, a room full of cages for the really sick that require solitude or constant attention, a store room or two and then, outside, several enormous aviaries housing the largest raptors. Each year the centre handles almost 1,000 animals that arrive in all manner of conditions. November is a busy time. It is the end of the raptor migration season, a period when birds of prey are brought to the centre in considerable numbers. On a visit in November there were at least four Griffon Vultures, a juvenile Eurasian Black Vulture, a young Booted Eagle, a Black Kite, an immature Montagu’s Harrier, a Common Buzzard and several Common and Lesser Kestrels are in the process of recuperating. The vultures are usually suffering from exhaustion and recover and can be released relatively quickly. Others, though, are victims of the hunter’s gun and need to be operated upon and nursed back to health. The Montagu’s Harrier had been taken into captivity, the flight feathers of its left wing amputated, and it was fortunate indeed to have been brought to the centre where it will regrow wing feathers and be ready for release next spring when its kin will be returning to breeding grounds in Portugal having spent the winter in Africa. Another young Black Kite was outside, standing on top of the aviary wire. It was fully fit and had been released and had flown away some weeks ago only to return after a few days and seems to have taken up residence at least for the time being. 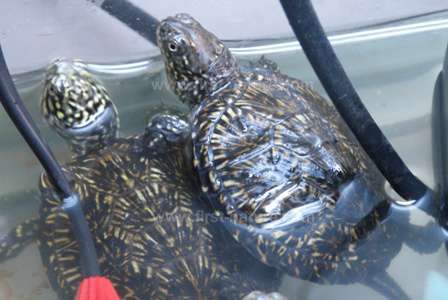 Another on-going project RIAS has undertaken, along with other partners, is the breeding and release of the Near Threatened European Pond Turtle. The turtles are reared from eggs and kept for two years before being released. In that time they avoid the dangers associated with being small and defenceless and grow to a size where their carapace offers them real protection. RIAS exists on a shoe-string, yet it performs admirably. Its funding, or at least a good proportion of it, is secure for the next four years under arrangements agreed with ANZ Aeroportos de Portugal. Money, inevitably, is a constant concern, however, and an innovative method of fund-raising has been developed. Individual animals in the centre can be sponsored in return for a Sponsorship Certificate, photographs of the sponsored animal, news of its progress and an invitation to its release. A Rocha is a Christian organisation that works in environmental and conservation projects and education. In the Algarve its research and recording work, much of it carried out by volunteers, made a major contribution to the decision to designate Ria de Alvor as Natura 2000 protected site. The first A Rocha project began in Portugal in 1983. 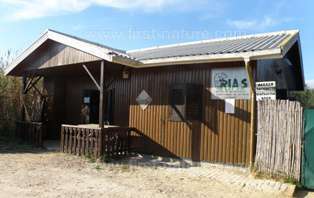 A field study centre and bird observatory was established near the Alvor estuary and it has now been visited by thousands of people from many countries. All over the world, Christians are realizing that important habitats and their wildlife urgently need protection and so new A Rocha projects have started in other parts of Europe, the Middle East, Africa, North America and Australasia. The international cross-cultural strength of the Christian community has been making a unique contribution, not least as communities struggle to reconcile the need to protect biodiversity with their hopes for sustainable development. A Rocha projects have a community emphasis, bringing together people from widely differing backgrounds to work towards common goals. The A Rocha Centre is situated at Cruzinha midway between the towns of Portimão and Lagos. 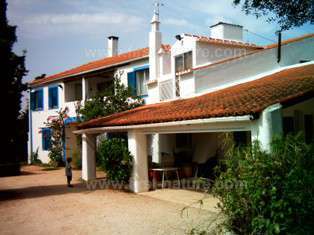 The centre is surrounded by the attractive farmlands of the Quinta da Rocha peninsula and overlooks the Alvor estuary. Regular visitors to the centre include school and university groups, as well as families and individuals. There are excellent areas for plants, birds and insects within easy walking distance of the centre and both Cape St Vincent and the Monchique hills are within easy reach by car or bus. Founded in 1993 the aim of the organisation is to study and conserve wild birds and their habitats by promoting sustainable development. SPEA has around 3,200 members and is based in Lisbon. Almargem is a non-profit association founded in the city of Loulé in June 1988. The name Almargem is derived from an Arabic word meaning pasture or meadow. In Portuguese the word denotes an area of land with an ecosystem that is in perfect balance; able to support all species dependent upon it, including mankind. Sustainable development is the central theme of Almargem, and the organisation aims to promote cultural and ecological awareness through a variety of activities, and by association with a network of other groups and committees in Portugal. It also seeks to ensure that developments in the Algarve should not adversely affect the environment or cultural heritage of the countryside. It is a founding member of the Confederation of Portuguese Environmenal Organisations (CPADA).